When we talk about Cincinnati, we&apos;re referring to our neighbors across the Ohio river—AKA The Queen City, Porkopolis, The City of Seven Hills. But when we say "The Cincinnati Region" well that is unique! The Cincinnati Region is our home. It’s a conglomeration of 15 amazing and distinctive counties located in three great states that offer so much diversity of experience. And in Northern Kentucky, we are in the heart of it all. The mighty Ohio River connects us all in more ways than one... We ride BB Riverboats down the river, walk across the river to take in downtown Cincinnati&apos;s great restaurants & entertainment and take the Southbank Shuttle Trolley up the river to see all the sights at Newport on the Levee. 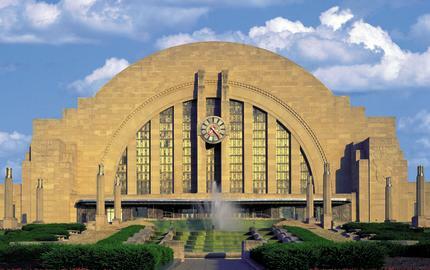 The Cincinnati Region is more than a location—it&apos;s a spirit and a blend of everything unique in the entire area. “We considered other Midwest cities but selected Northern Kentucky because our event was a perfect fit. The facility, the hotel rates met our expectations, transportation options were excellent for drive-ins and fly-ins and the financial package for using NKYCC was ideal."